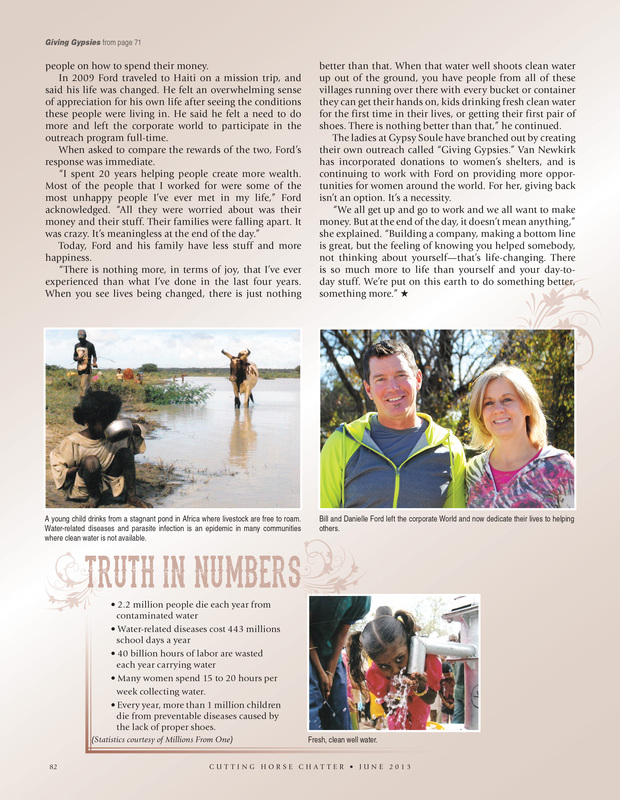 Gypsy Soule has been featured in an article in the June 2013 issue of Cutting Horse Chatter. 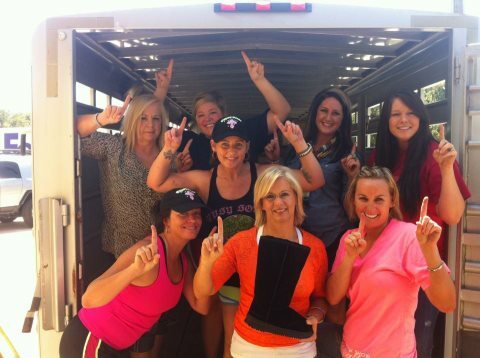 The Giving Gypsies contacted New River Fellowship of Weatherford in hopes to find a way to give shoes to people in need. 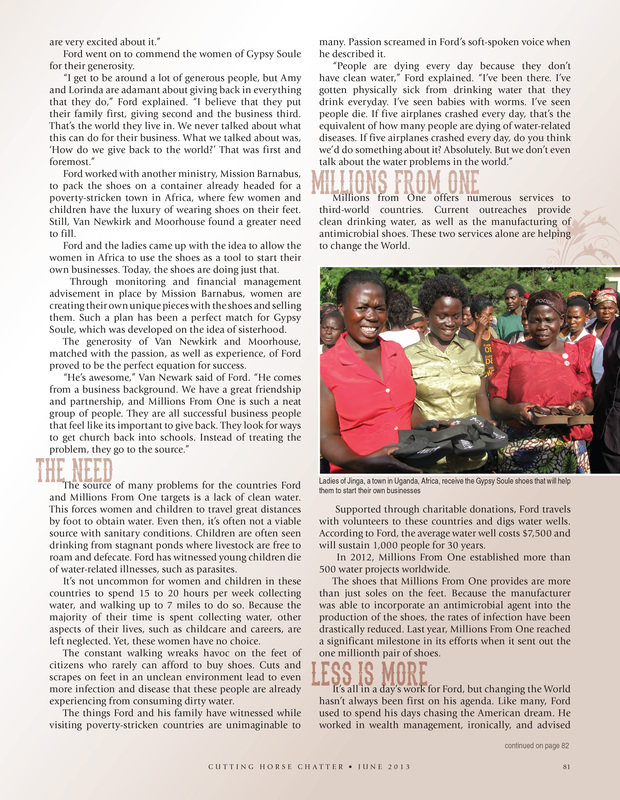 From there, they were put through to Bill and Danielle Ford who founded the charity, Millions From One, that recognizes the need for drinkable water in Third World countries. This summer, women from these countries will receive more than 3,600 pairs of shoes from that were donated by Gypsy Soule. Make sure and get your copy today! 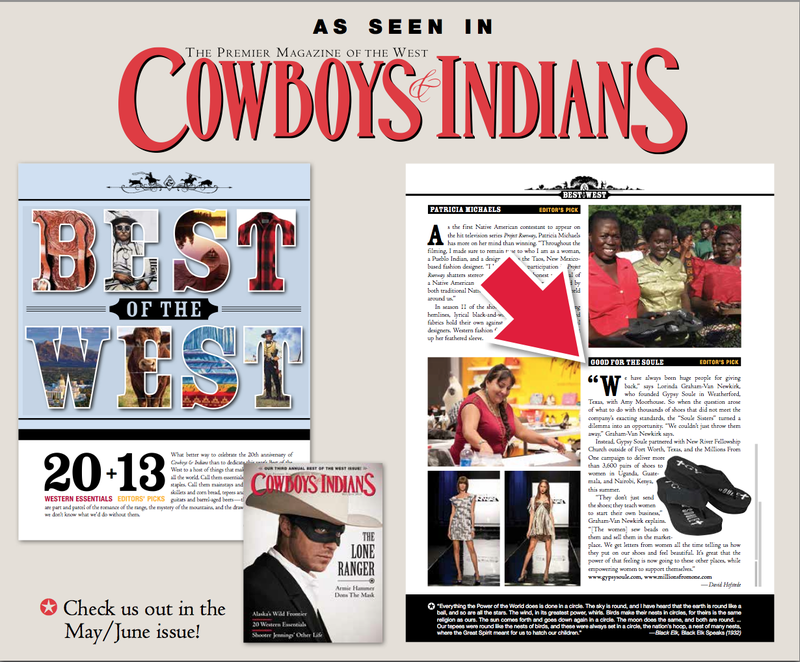 The Gypsy Soule company based in Weatherford, Texas, has built their company with values that inspire and instill confidence in women through their unique shoe line and accessories. Lorinda Van Newkirk and Amy Moorehouse, the founding partners of Gypsy Soule, have always had the desire to give back to their community. 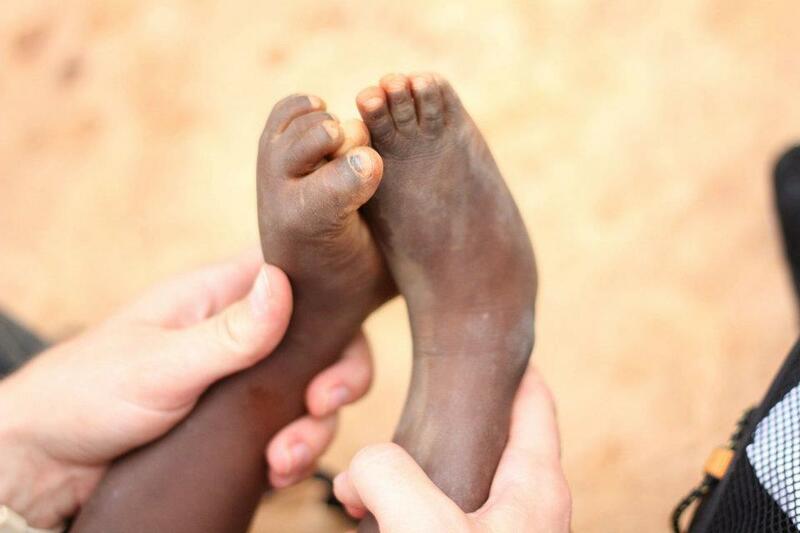 Now, this heart of generosity has emerged with a global impact. 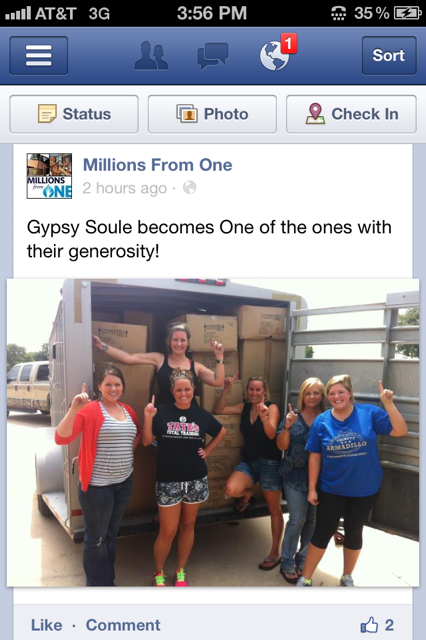 In August of 2012, Gypsy Soule contacted New River Fellowship and Millions from One partner, Bill Ford, to discuss impacting women in third world countries by donating shoes to help them create micro enterprises. 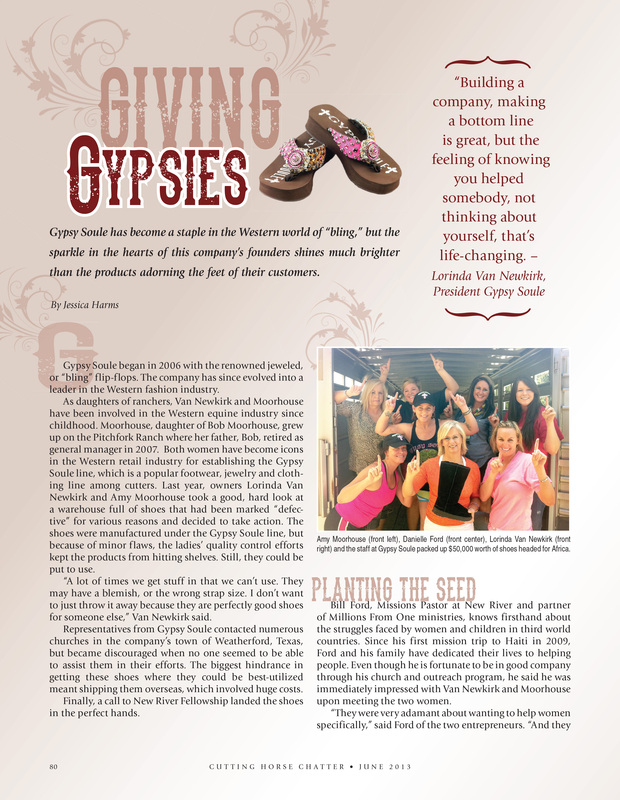 The shoes become the “seeds” that help these new women business owners create startup capital through the sales of these products that were gifted to them from Gypsy Soule. These women will then have the capital to purchase more products to continue their small enterprise. 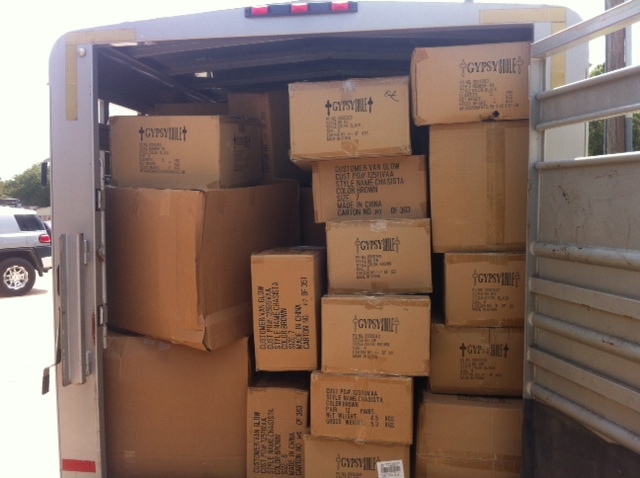 With the help of the global outreach team from New River, Millions from One was able to pick up over 2,000 pairs of Gypsy Soule shoes where they will be transported to the Mission Barnabus team in Kenya. MFO will also distribute these shoes in Guatemala to help women start businesses there. Some of you may know our Gypsy Sister contributor Leah Walker, but many don’t know why she is dedicated to travel and living each day to the fullest. 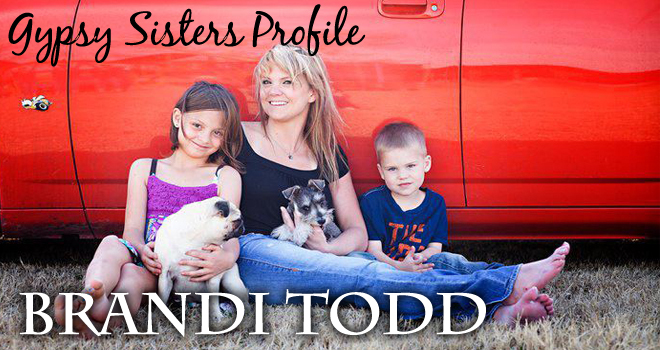 Here is a glimpse into what inspires her, what she stands for and why she does what she does. 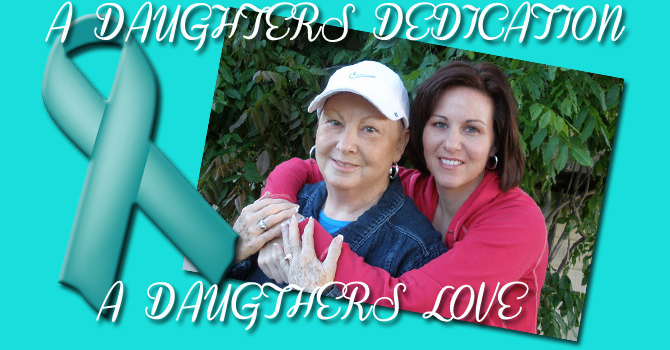 Here is a story that shows the love and bond between Mother and Daughter. 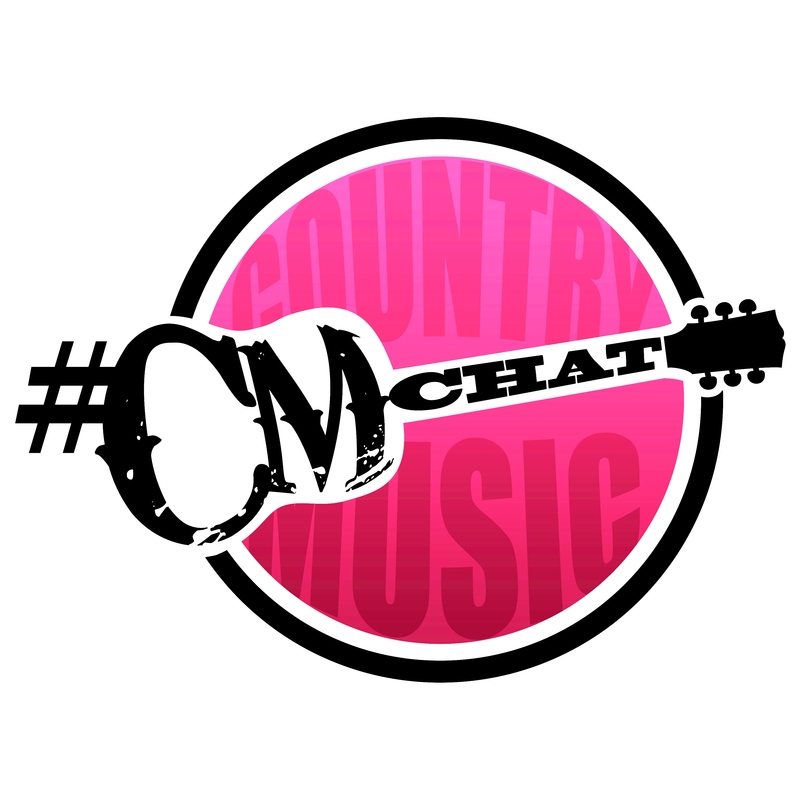 We “borrowed” one of her blogs to repost because it touched our hearts and our souls. We know it will inspire you as it has us.